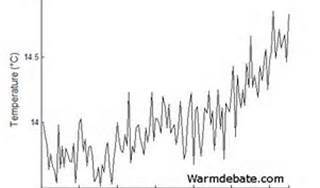 April « 2013 « Watching Those "Who watch the Deniers"
Much of the work in climate science involves using proxy measurements. I got to wondering what other things in life could be done using proxies in place of actual measurements. You pull up to the gas station and fill your tank. A fill is your only option due to a new system that removes pump metering. Before you start to fill, you snap a quick shot of your gas gauge using the digital camera provided at the pump. After filling your tank, you go in to pay. A calculation is made: your car has an 18 gallon tank, the gauge says ¾ empty to start, so you pay for .75 x 18=13.5 gallons. The assumptions are that the manufacturer was accurate in stating gas tank size and that the gauge is accurate as manufactured. The math is straightforward, so use of the proxy should be acceptable. Any time card with missing values should be paid the average number of hours the other employees worked—8, 8.5, 9, etc. Since most workers have similar schedules, this should result in payment very close to what the time card should have shown. The bookkeeper notes this will not work with employees F, R, and Z. F seems to show up half an hour late regularly– his coworkers have complained about this. R and Z work half an hour to an hour overtime routinely. The bookkeeper is given permission to apply the corrections to the paychecks. A construction company has all of its levels, tape measures and some other tools stolen. They are in a remote area and it would take days to get replacements. All materials were brought in at once with the idea they would finish and never have to make a trip back to civilization in the middle. The crew decides that employee A has a shoe that is very close to one foot in length. He is designated the official “foot” measurement person. Employee R has a finger with approximately 1 inch between knuckles. He is the “inch” measure. Employee S has good spatial skills so he is designated the “level” person. Since mortar and grout will still need to be mixed with no way to measure, employee K, the person with the most experience using mortar and grout, is designated the “mix” person. The crew is confident these substitutes will work fine. The crew has years of experience and have no doubt they can finish the home without problems and the homeowners will never know what has transpired. (b) only medicate the “very sick” and risk children dying if the woman with the “touch” is off by a couple of degrees in her judgement. With all the talk of the precautionary principle and Earth Day, climate change, etc, I am posting my FICTIONAL look at what can happen when we forge ahead without adequate thought of consequences. This appeared on my web page (The Accidental Conservationist) in 2011. America, along with large segments of the industrial world, embarked on a “save the planet” campaign, stated to be necessary due to the effects humans were having on the planet using fossil fuels and increasing CO2 levels. All fossil fuels were labeled evil and environmentalists began breaking into and protesting all the vile methods humans use to deface and damage the planet. At first, much hope for the future was placed on wind and solar. Billions of dollars were spent on government grants and giveaways to erect the 400 foot turbines all over the country. Reports of “wind turbine syndrome” were derided as sour grapes on the part of those who dared argue against saving the planet. These were the same people who protested Love Canal and chemicals and were enraged when people doubted them. Only those who had always championed the earth were worth listening to—not capitalists out to poison the planet and make millions. So the vibration and noise were ignored by the government and developers. Eventually, it became necessary for the government to mandate the turbines and panels go up due to many malcontents too short sighted to understand the urgent needs of the planet. The news media feeding a constant stream of stories about how wrong energy consumption was pretty much insured the people elected would vote to remove any CO2 emitting fuel plants. All the money went to the turbines, solar panels and public education programs espousing the “less is best” theme. In time, there was so much spending on renewables that coal plants were left to crumble in place. Coal comprised 21% of the nation’s energy production which was lost as plants closed. Over time, natural gas plants replaced some of the lost production, but such plants were limited due to carbon emissions. The loss of coal and about a fifth of the electricity previously produced was a blow to the country. Wind and solar made up some of the loss when the sun shown and the wind was blowing. Storage system had been designed for wind and solar, but at the cost of billions for a few small projects, storage was quickly abandoned. As electrical service declined, so did the economy. For a while, this helped stabilize CO2 emissions due to the lack of demand. As people adapted, business picked up and so did CO2 emissions. Round 2 of a proposed government mandate never actually had to be passed into law. A movie on the Japanese earthquake 2011 nuclear holocaust was sufficient to spark massive nuclear plant closings. Energy output fell the full 20% that nuclear provided in the U.S. More impact was felt—energy was now rationed. It was impossible, even with multiple movies and TV specials, to convince Americans to voluntarily give up their plasma TV’s, WII games, computers, freezers, waterbeds—whatever it took to cut 20% of their electricity usage. Closing nuclear power plants had already reduced Germany and Switzerland to third world status, much as Australia was lost to carbon tax and England to carbon and renewables. At this point, wars began to break out as people’s food and housing supplies dried up. Manufacturing continued in China and India, as neither country had phased out coal or natural gas plants. But the dark economies in Europe, North America, and South America began to impact the Chinese and Indian economies. 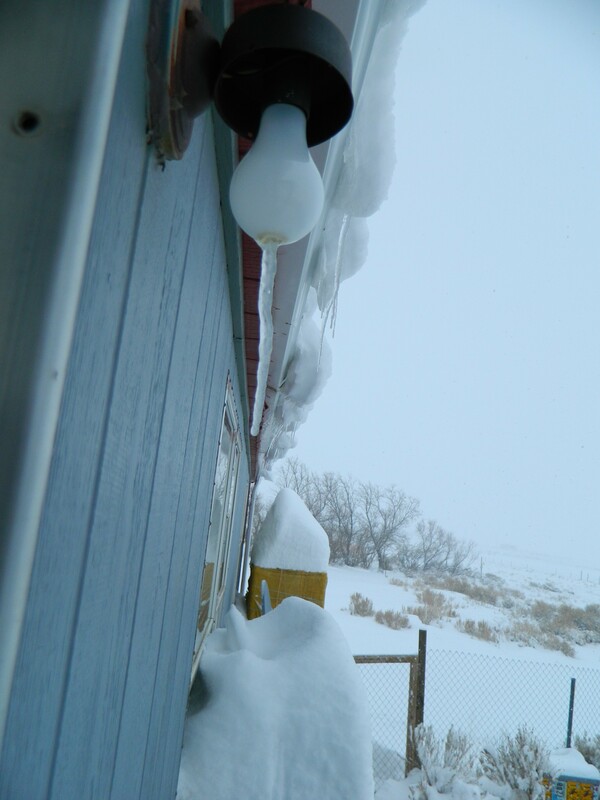 Countries had no money to import merchandise and people struggled just to stay warm and eat. Small farms produced vegetables when possible. Game animals were reduced to less than half their pre-CO2 savings level. Cattle had been outlawed early on—too much methane. 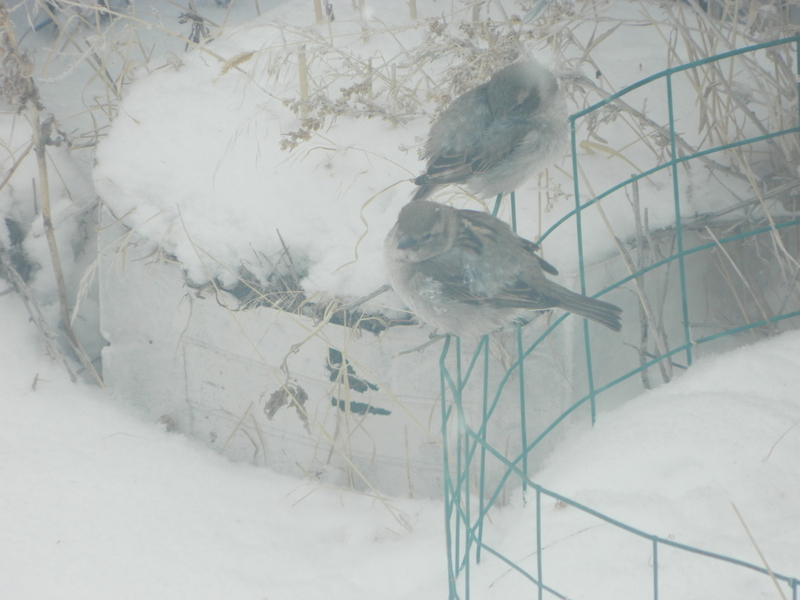 So wildlife became the only source of food—deer, elk, moose all harvested at a rapid rate. Land that remained between turbines and solar panels was farmed, though with oxen and no chemicals. All chemical factories closed with the first round of electricity decreases except those for medicines. Malls closed, too. Electricity remained to light hospitals, schools, etc., plus to manufacture essential medications, plants for processing some foods and so on. Then with the closing of nuclear plants, there was barely enough electricity for food, hospitals and other vital services. The need for petroleum dropped to 5% of previous usage. The Middle East had sold to China and India, but as the world economies collapsed, so did Middle East oil. Instead of being the Godsend Americans had envisioned, with no money coming in from oil sales, the Middle East heated up. They had no means to produce food in a desert country and began raiding southern Europe. Wars and skirmishes were common. Europe could produce some food, but without chemicals, harvests became smaller and smaller. Meat was from game there as well and as the supply dwindled, mass extinction of species followed. Early reductions in cattle, pig and sheep production lead to mass cuttings of rainforests as peoples in these nations began raising livestock to fill demands no longer filled by America or Europe. Nearly 80% of the rainforests were cut before the world economy collapsed to the point people could not afford to pay for the livestock. Farmers then turned to subsistence farming and continued to cut rainforests for wood for trading with other nations and subsistence farming. The world became a dark place with famines and wars widespread. Energy production fell to pre-industrial levels. Without reliable energy, only variable, it because impossible to produce turbines and solar panels. Lights went out all over the planet. During this time, small groups of people had formed cooperatives and began developing energy resources similar to those that had been outlawed. Methane was easy to produce from garbage. Since the ability monitor violations in the air quality codes had vanished, no one could tell these groups had returned to CO2 producing energy sources. While environmentalists continued to espouse the belief that the current dark ages had saved the planet from a fate like that of Venus, a growing number of individuals started questioning whether the current situation was all that much superior to Venus’s fate. Yes, the human race still existed but over 75% had perished in the wars and famines. Fifty percent of the species of the animals were driven to extinction and 90% of the rainforest was gone. Not the paradise on Earth predicted by the climate change pushers. Looking back, some did understand how humans arrived at this state. Bowing down to those who predicted an apocalypse resulted in an apocalypse of its own. “We have to something—a crisis is coming” lead to massive loss of life and habitat. “Follow the Yellow brick road” did not lead to a wizard, just a fate that was really almost as bad as the one predicted if we failed to take action. Worse yet, no one would ever know if doing nothing would actually have caused an apocalypse. But doing “something” because this was serious and needed action did lead to a very bad outcome. People would recover, but they would not soon forget that actions have consequences and we need to understand those before running into the fray. John Kerry says climate change is the most serious threat to national security today. He is right, but not for the reasons he states. 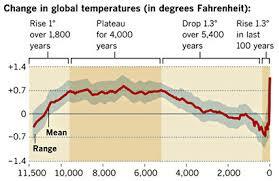 Climate change belief has the potential to drag the world back to the stone age. That constitutes a serious threat to all of humanity. We enjoy a standard of living people in the Dark Ages could not even imagine. Humans feed, clothe and house 7 billion of their own. Hunger and lack of services are often due to politics—oppressive governments, wars, etc. Third world nations are rising up out of poverty and joining the US, Europe , Canada and others with warm houses, plenty of food, and a high standard of living. India and China are catching up to the US with their industries. Lifespans are long, diseases can be vaccinated against, medical care handles complex surgeries and organ transplants. We have very fortunate lives in comparison to past generations. All of this comfort and gains are the enemy of the climate change promoters. Modern life, based on fossil fuel usage, is killing the planet. Some say it is too late—but wait, it’s too late to avoid all climate change but we can limit it. We just need 90 mpg cars (remember when Ralph Nader lamented selling of dangerous cars like very lightweight, high mileage cars? Not anymore—now it’s save the planet, not the person), wind turbines, solar panels, water rationing, less consumption of goods—you get the idea. Radical activists go so far as to say humans are a blight upon the earth. The major component for fixing climate change is money—billion, trillions of dollars redistributed by the UN most likely. Kerry says the US needs a carbon tax (one supposes he does understand what damage this will do to an already weak economy but does not care). Money—that’s how we fix climate change. Considering the astronomical cost of wind and solar, and the physical limits of such power, a loss of industries and home electrical use is the inevitable outcome if these methods are continued. Wind and solar are variable at best. Storage is being explored, but has not been successful large scale. There are no replacements, short of nuclear power, that are practical to replace fossil fuels. Ending fossil fuel usage means ending modern society, unless a reasonable replacement is found very, very soon. Currently, there is mostly a push to use the marginal wind and solar and live with limited power. Many will argue such drastic measures are not necessary—moderate changes are enough. This does not go with the climate change apocalypse predicted by Hansen if we don’t take drastic action now. It seems drastic change is our only choice now. Hansen is again saying Earth could end up like Venus if we don’t take drastic action. Whether or not ACC is “real”, current calls to drastic action represent a far greater threat to humans than climate change itself—or at best, the prospects for good resolution are equal for both ideas. Driving the world down to pre-industrial levels will be devastating. Massive wealth redistribution will be devastating,. Will waiting be devastating? Maybe, but it seems less dangerous than applying the “cure” of stopping fossil fuel usage completely. Humans have been remarkably adaptable for thousands of years and will continue to be. We have an obligation to use our resources wisely and to keep our rivers, forests and land in the best condition possible. This does not mean declaring resources off limits or preserving huge chunks of land free from human habitation for posterity. We are part of the earth, not a parasite that needs to be destroyed. We are adaptable and resourceful. Trying to destroy the gains made by technology won’t save the planet nor the human race. The nobel savage was never truly noble. Celebrate Earth Day by being thankful for the world we live and thrive in today. 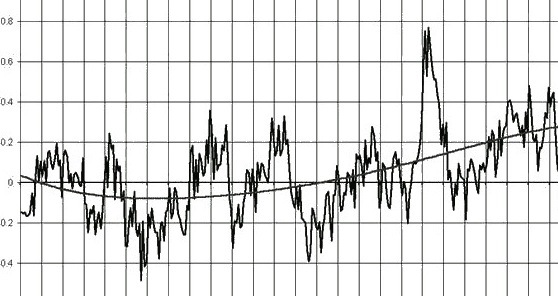 A large part of what the public sees concerning climate change involves graphs. Graphs can be an excellent visual aid. Graphs can also push people in the direction of the conclusions one wants them to reach. 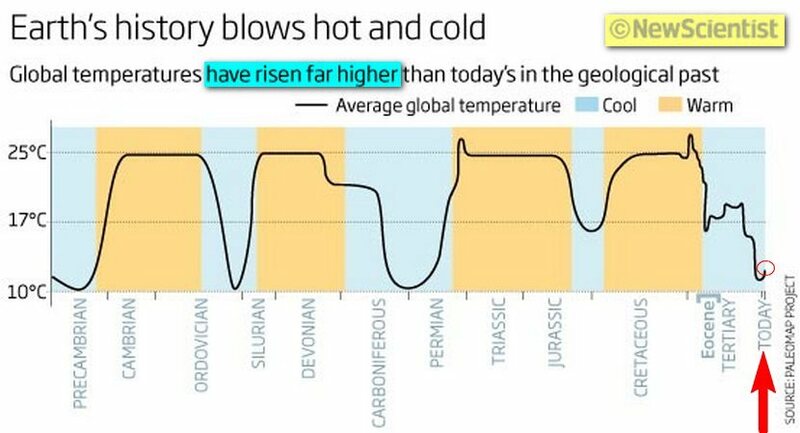 Since climate change is not actually based on global mean temperature but rather anomalies, labeling the axis “Arbitrary Baseline” is appropriate. This is from Skeptical Science, to illustrate the “proper” way of looking at temperature anomaly data. However, the skeptic’s use of a stepped progression is a legitimate statistical technique and is appropriate in some cases. The bright red of the realist’s line also draws one’s eye to that line, while the blue against the green data lines and points serves to obscure the skeptic lines. There is a very real psychology to presenting data in graphs. The scaling on a graph can make a very strong, visual statement. Notice how much more dramatic the first graph looks. If we elongate the y-axis and shorten the x-axis, the increase in temperature becomes much less noticeable. The data is exactly the same, but the first graph is more likely to convince the general public that climate change is real. The choice of the graph scales probably depends on what point the author is trying to make. 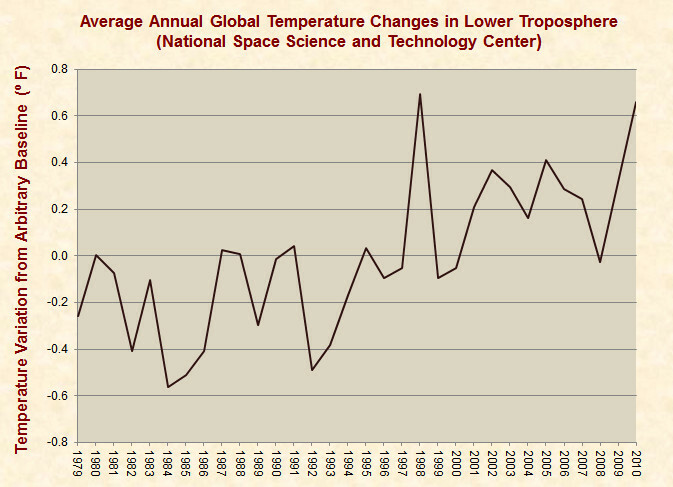 These graphs reinforce the idea that climate has always changed. 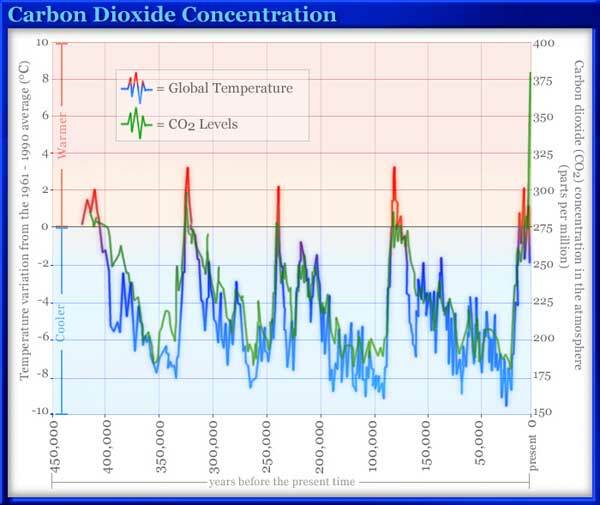 Both graphs are unlikely to convince people current warming is significant or out of the ordinary. The striking color contrasts make the cool/warm periods really stand out. The graph scales also add to the feeling of widely varying temperature swings. A appears to be headed toward cooling. B shows a definite downward trend. C show a dramatic increase. In reality, the data on Graph A returns to an upward trend after the drop. Graph B starts back up, then down then up again. 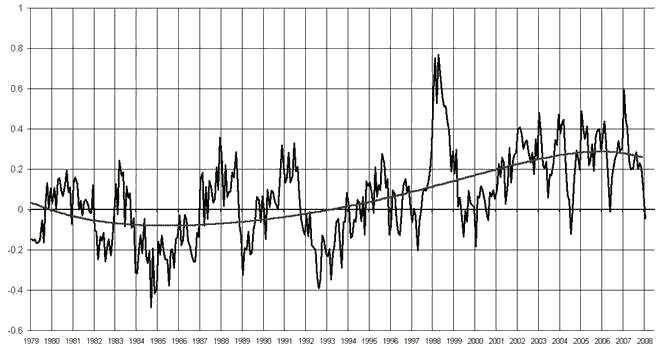 Graph C is the peak of a warming period, after which the data drops down again. 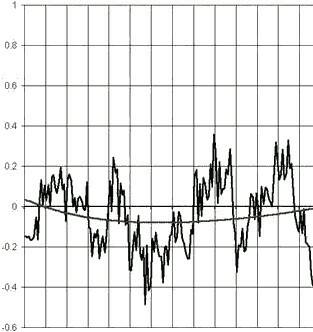 I include this to illustrate that even with line of best fit or whatever method one uses to smooth the data and then graph it, the graph can certainly lead to seeing a trend that goes in a wrong direction. It’s very easy to predict data that won’t happen for years or decades. However, it’s not so simple when the data is already there and you are predicting from past known data to current known data. 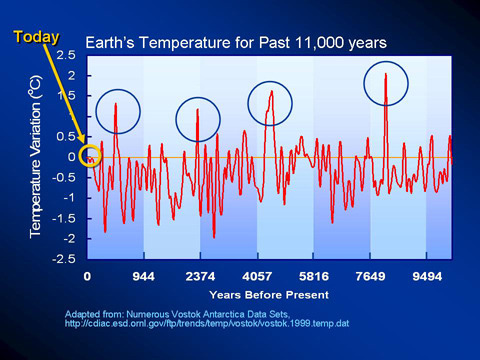 Then there are the graphs that represent what appears to be the same period and is reporting the anomalies in the temperature, but the graphs look totally different. Again, what the author wants to highlight seems to be the reason for the choice of graph styles. This also is in part why the average person on the street thinks climate change is simply fabricated. I am not saying it is, nor that both graphs don’t have reasons for the choices of graph styles. It’s just not evident without much deeper digging why these two graphs look completely different and appear to be predicting different outcome. Much like the Marcott graph used in the example above this one (graph above right), this graph looks fabricated. We are looking at 450,000 years of information based on proxy data and the correlation is nearly perfect. It is unlikely that such perfection could actually occur with such a long period of time involved and proxies for all variables. The first reaction to this type of graph is to ask for the data and the methods used to find out why nature is suddenly so perfectly coordinated in this case. Very few variables in nature that are as complex as climate correlate perfectly. This is the last graph. I include it as an example of a useless presentation of far too many variables at once. While the graph may actually represent useful data, one is hard-pressed to see what any of that data actually is. I am uncertain that the graph was actually intended to convey information. However, if it was, it failed. Climate change advocates expect people to accept that changes as small as .1 degree change in the global mean temperature can be calculated using tree rings, ice cores, etc. This is necessary because there is no instrumental data (or the data is said to be corrupt or problematic) for the periods in question. Climate change questioners have been told they cannot understand the complexity of the science, ie there is no direct data for the theory. They have been asked to accept the word of experts. When questioners instead look at “proxy” data—the behaviour of the scientists, the politicalization of the subject, the predictions that failed, the attacks on the questioners and name-calling of these persons—advocates scream “foul”. One question that often comes up is why proxy data is not used all the way through the article and analysis. Why do we not use proxies up through 2013? Are there studies that show proxies now match temperature readings now? Generally, the answer seems to be “no”. I have located one possibility but it is 200 pages long and will take some time to wade through. Questioners proxies are based on scientific methods and procedures. Science is about data and results, not activism, shouting people down and declaring one’s self supreme authorities. Advocates say this is not the case and that experts are who we should follow. Until such time as either groups proxies are proven incorrect, the proxies will be used, I am sure. 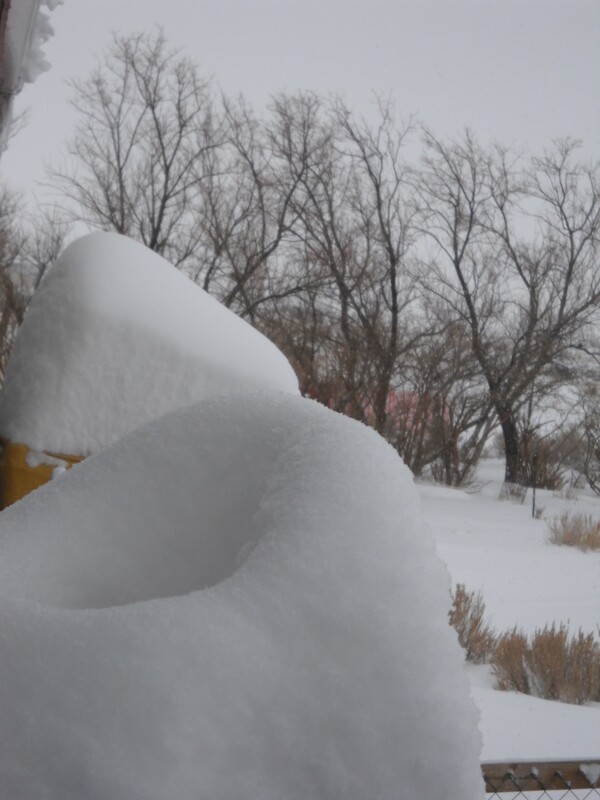 This is not an example of climate change, extreme weather, a coming ice age, or whatever. This is springtime in a high altitude at the base of a mountain. 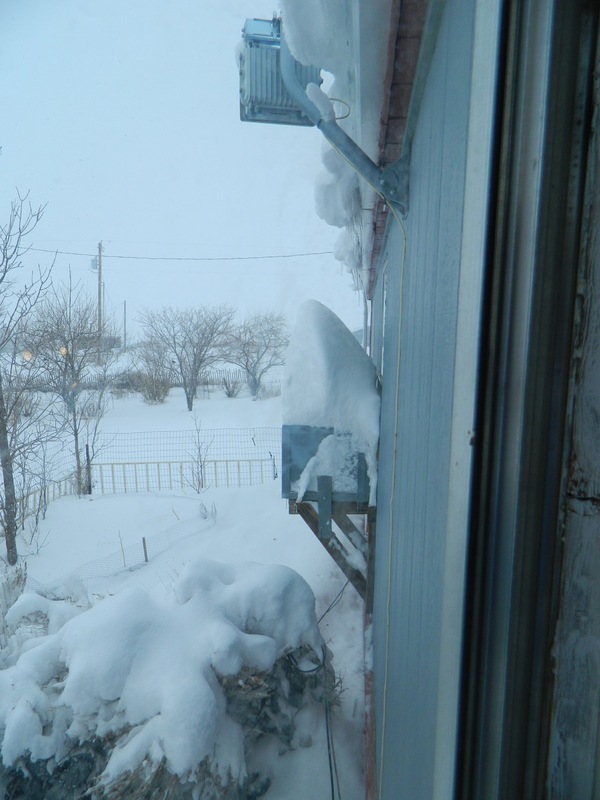 It’s why we have wind, snow in 11 months of the year sometimes, etc. 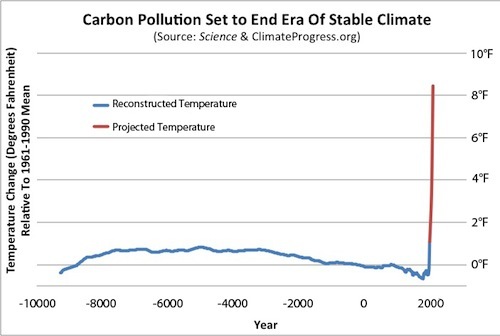 Climate is rarely if ever “stable”. 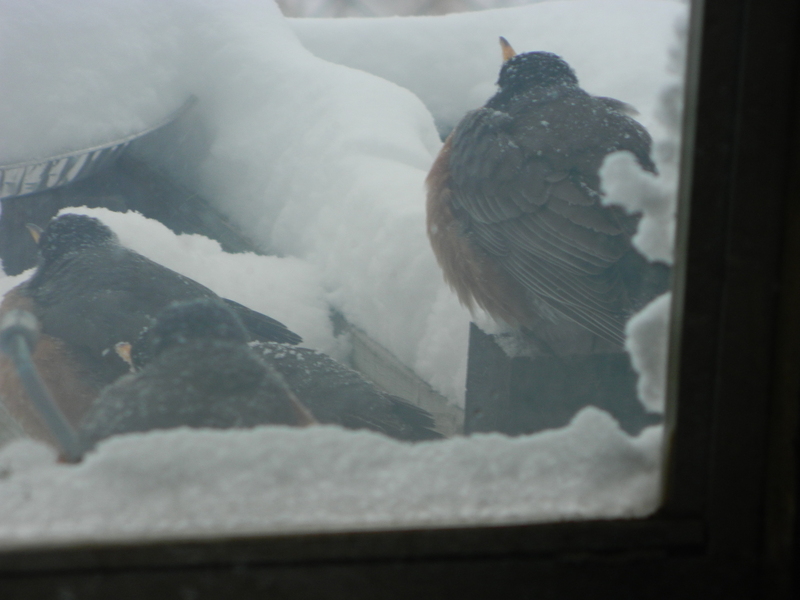 We have four seasons whenever nature decides to deliver them, not when the calendar tells us we should. It’s what makes life and nature interesting. A large sample size (preferably 500 or more—the larger the sample, the more reliable the results and the higher the probability of it being truly random). If one wants to use the internet, a Google ad on a wide variety of websites should provide a reasonably random sample. As a subset, a Google ad targeting climate change site searches (both sides) could assure the taker is familiar with the issue. The wider sample would apply to the general public. All must be meticulously documented—what sites the ads were posted on, what ads and sites had hits and surveys filled out, etc, in case there are questions about the methodology or sampling procedures. Ideally, one would use a mass mailing. However, this would be quite expensive (if one figures only about 10% or less of the survey recipients will return filled out survey) and would only be practical if funding is available. A survey that avoids as much prejudice as possible. It should include a title that is neutral (such as “Social Science Study”. Questions should be arrange randomly on the survey, meaning there are multiple versions of the survey that differ only in the order of the questions. This helps assure that the order of the questions do not influence the answers. One may ask political party affiliation (for later use when you want to use the survey to correlate politics and climate change), random information (college degree, occupation, if one believes in big government, if one gives to charities, etc). The random questions yield information but also draw undue attention from the point of the survey, helping insure the answers to the climate and conspiracy theories are not unduly influenced. Next, include the questions on conspiracy and science theories. The wording of these questions must be as neutral as possible. For example, “Do you believe smoking causes cancer?” is not suitable. “Do you believe smoking causes cancer in some people?” People who are very precise with language may answer “no” to the first version because they know people who smoked and did not get cancer. Another variant is “Do you believe studies that show a link between smoking and cancer?” Questions like these and “Do you believe vaccines cause autism?” measure how much one believes in the accuracy of scientific research. It indirectly may indicate one’s belief in science itself. More properly, it indicates the level of skepticism the individual has in some areas. For conspiracy theory, one asks about 9/11, faked moon landing, illuminati, UFO hidden research (not UFO’s in general—there are unidentified objects flying around), aliens, one world government, etc. When addressing climate change, a series of questions is preferable. 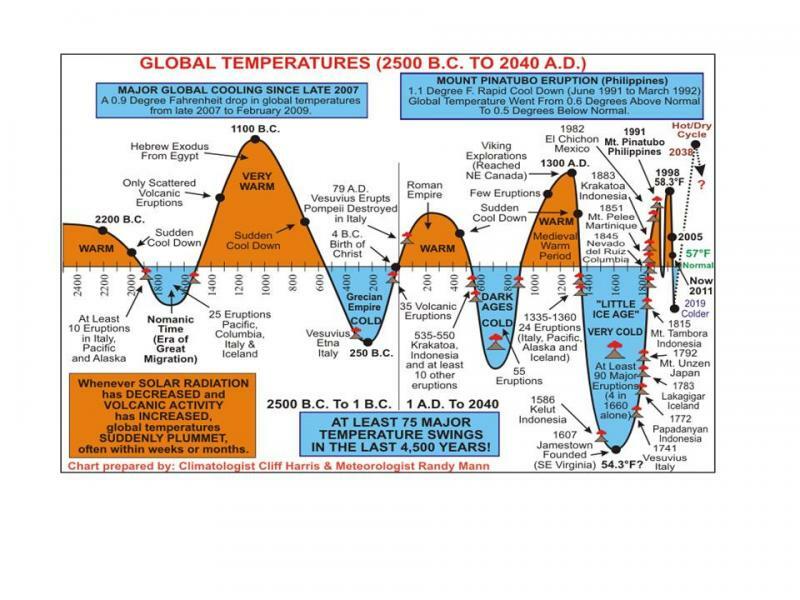 Does the person believe the climate is changing more than in the past? How much of this does the person attribute to humans? (A sliding scale of 1 to 10 or something similar will give a more accurate reading.) How much does the person trust the IPCC to accurately report climate change? Is consensus important in science? How far should humans go in trying to stop climate change (list of proposals with y/n options—things like switching to renewables, shutting down coal plants, giving money to the UN, and so forth. The proposals should range from minor changes to worldwide changes, voluntary versus involuntary). If one does not get a wide variety of responses from both sides of the debate, the ad should be ran again. Ideally, the pro and con should be close to equal. If you cannot achieve this, it needs to be clearly indicated in the study. The data from the surveys is then compiled. One then separated belief from skepticism (if you used a sliding scale for belief that humans caused climate change, this variable should be subdivided to each section of the scale—how many believed it was a 5, how many believed it was a 6, etc). One then separates the conspiracy/science belief data for each group. Then one calculates what percentage of each group answered affirmatively to the conspiracy/science questions. Both sides scores must be reported. It is not appropriate to report only one side. This shows only the correlation between beliefs, not the reason or cause for the beliefs. That should be made clear. It may be that the people who believe in conspiracies are more likely to question things, resulting in a higher number questioning or disbelieving climate change. This does not mean that those who question climate change are conspiracy theorists—it means conspiracy theorists question things more and are less trusting, resulting in their questioning climate change. They may perceive it as a conspiracy, also. Not all persons will believe in climate change and conspiracies, not all skeptics will believe climate change is in error and conspiracies are true. Such a study is only useful if one is looking for ways to approach people about climate change science in the hope of changing their views to reflect the view preferred by the presenter. If one wants to know how to convince skeptics of climate change and human causes, it may be useful to know if they are also believers in other parts of science. It does not prove the individual’s belief in climate science is wrong—people can easily be wrong in one area and right in another. If you use the internet, you only survey those who are into electric media. This may not be a serious limitation since much of climate science is debated on blogs, but it is worth noting. Persons who are very much into conspiracy theories may avoid the internet. Their beliefs will not be represented. A mailing might help, though admittedly some persons will be too suspicious to answer the survey. Results of the survey, if properly set up, can be used to look at other correlations between religion, politics, etc. Again, none of this addresses the truth or falsity of the beliefs, only correlation. The results may be useful in formulating a possible way to convert those with unwanted views (unwanted from whomever’s point of view) or to attempt to discredit the opposing view, as in the case of the unscientific Lewandosky. In other words, this is a marketing study. In “An Inconvenient Truth”, Al Gore claimed there would be an increase in global hurricane numbers and intensity. This has not occurred and may not have even been predicted at the time. 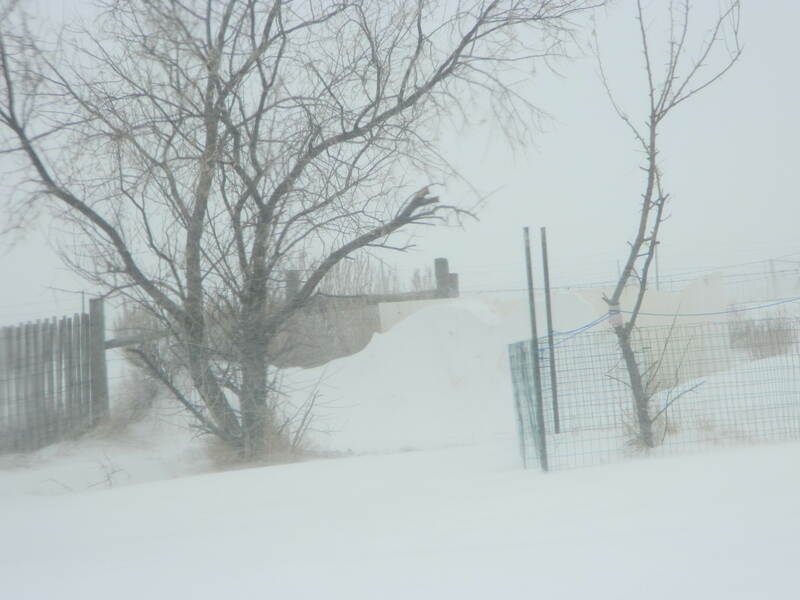 Weather Underground has a write-up concerning this from both sides. Researchers note that the measurement of the strength of a hurricane is very complex variable to measure. The Dvorak tropical cyclone intensity estimate method was only developed in 1972. Comparisons to data before this measurement came in will not provide an accurate picture of the intensity of hurricanes. As in the case of tornadoes, the intensity is rarely directly measurable. There is a tendency of individuals to accept indirect measurements as correct. 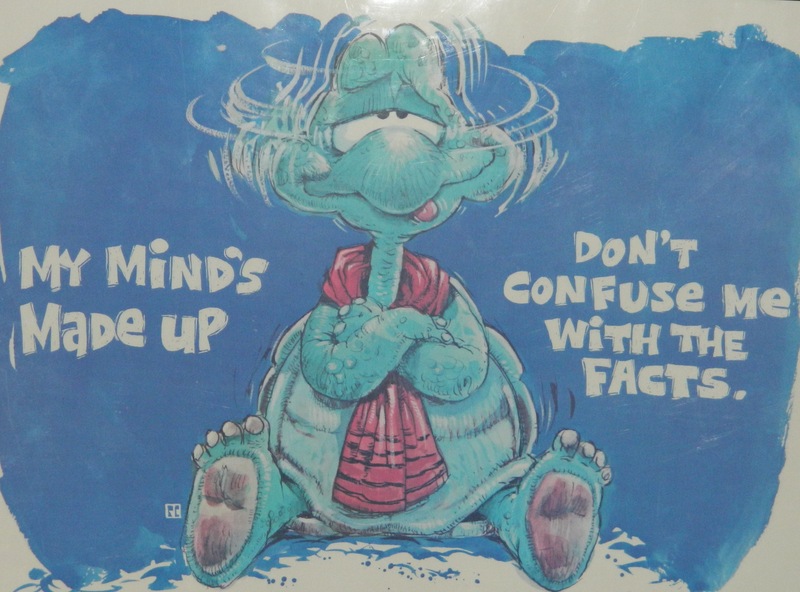 This is not necessarily true. Estimates are the best available measurement in many cases, but can certainly be incorrect. Statistics used to calculate the values can and do vary by researcher. Ideally, researchers would start with the same set of raw data values and work through the calculations on their own. However, time constraints probably do not allow this. Keep in mind, however, that any error in the estimates can change the final solution. It is these values that are often the point of contention between scientists. I interpret this as: The projections in the global decrease in cyclones are not based on observed trends, but rather some other variables. Larger storms are higher than simulated by models, calling into question the models used. If the models are not accurate, then the conclusions based on these models are based on inaccurate information. There is reason for skepticism concerning the accuracy of the modeling associated with hurricanes. Al Gore may or may not have been wrong about intensity (due to the new measurement methods) but he was certainly wrong about more hurricanes. This was known by 2006 when the movie came out. The issue of the missing hotspot in the troposphere as been making the rounds on the skeptic blogs. Does the absence of the hotspot prove there is no human-caused climate change? No, not necessarily (there can be a theory without the hot spot that still works) but it does call into question the theory itself. If what was predicted by models is not there, we need to know why. I have read that the hotspot may not be long-term (Skeptical Science) and that the hot spot is not the “fingerprint” of AGW, but rather that stratospheric cooling is the fingerprint. The IPCC does address both phenomena. I was not sure if they labelled the stratospheric cooling as the fingerprint or not. There is considerable discussion about other factors (natural ones) in the mix. There was also discussion about whether the radiosondes are accurate and whether or not using proxies (such as the thermal wind equation) is appropriate, especially if they more closely match the model. The radiosondes are what the skeptics are hitting mostly. My concern is the proxies that may accepted as better than the radiosondes because of their closer match to the model. This may be a prime example of why global warming is not well accepted. 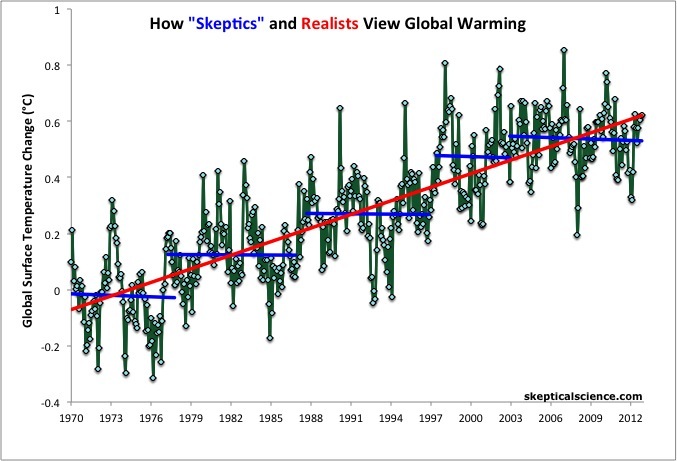 While people constantly hear that “the science is settled” when it comes to light that reality and the models do not seem to match, there is a skeptic’s claim the models are wrong and the theory is wrong. Climate science then says the models were not understood or may need adjustments. Much of the climate change theory rests on models and proxies, which do not seem to match reality as well as predicted. This leads people to believe there is no validity in the science, rightly or wrongly so. Where do I start? This appears to be outright fraud. 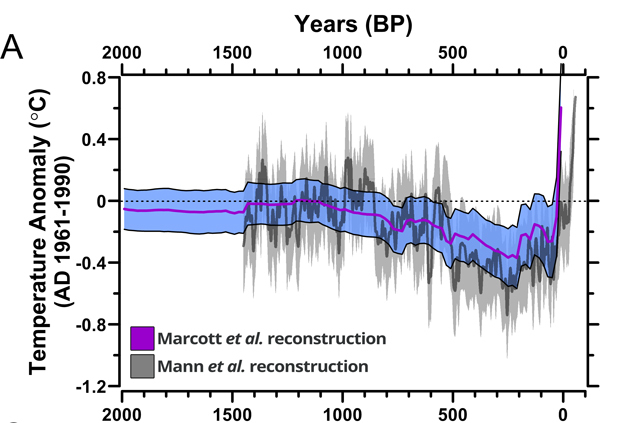 First, Marcott admits the data for the last 100 years is not statistically robust. Then why did it appear in the Science article? What was the reason for the inclusion of data that was not robust? If you remove the “hockey stick” at the end of the article, we are “not screwed” as some news outlets seemed to like for a headline. There are claims that the dates were rearranged on the data points so the graph would give the results desired. Only 73 proxies were used with 2/3 of them in the northern hemisphere. Some of the graphs show no warming in the proxies. These are some of the graphs out there associated with Marcott. If I had written up a science paper with a uptick like Marcott has, I am certain I would have had the paper torn up and been told to try again. Such an increase appears beyond any possible accurate interpretation of the data. The uptick does not follow any trend in the data. Marcott admits there are problems with the data. The paper should not have included this data, if nothing else because it is questionable science. The entire end of the graph and probably the remainder of the graph also, should have been verified by someone outside the paper’s authors or the authors needed to find another way of analyzing the data and verified that the uptick was real. As it is, it looks like case of falsified data and very poor scientific method.